On the 28th of October Dirranbandi hosted the latest Carp Busters event with 290 anglers and a tonne of carp. 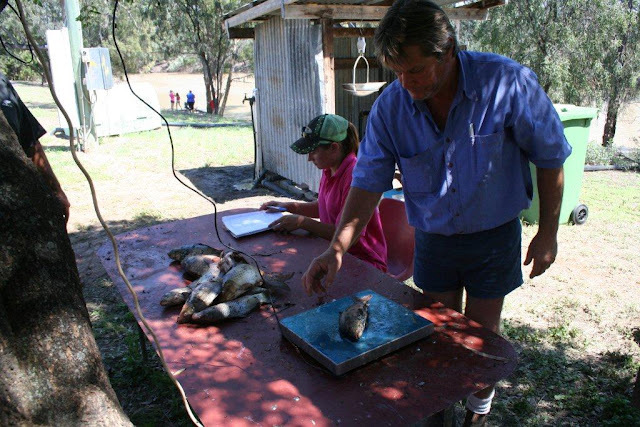 Dirranbandi was the host town for the CarpBusters Series on 28th October for the weekend. There were 290 people registered for the event. The largest carp caught at Dirranbandi was nearly 8kg in weight- a monster. This is a great program attempting to remove an introduced pest from our waterways. 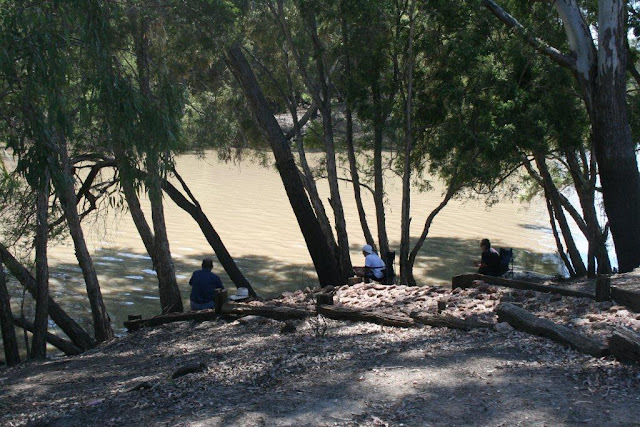 The removal of these Carp allows the Australian native fish to recover and breed. 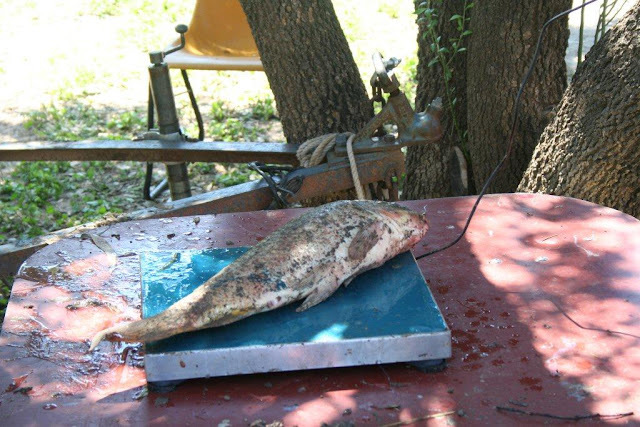 The caught Carp are used as fertilizer, in an attempt to ease some of the destruction caused to Australian habitat. 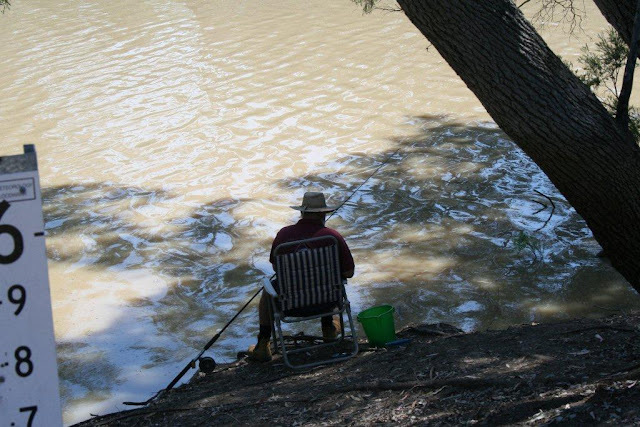 There are 8 weekends during the year that you can go and chase these pests and be among keen fishers as well. This event is held at 8 different locations in Queensland during the year. For this season there were 1209 fishers and they caught 7409 carp. Truly impressive!! The next weekend will be at Thallon on 17th March 2012. 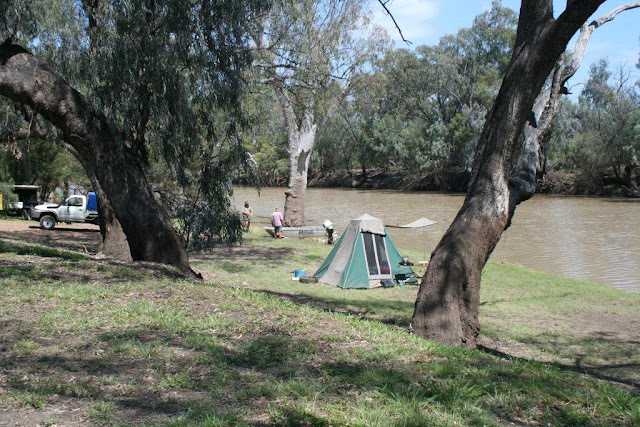 Many Carp Busters set up camp alongside the river for the event at Dirranbandi. 5 Kilogram Carp on the scales.